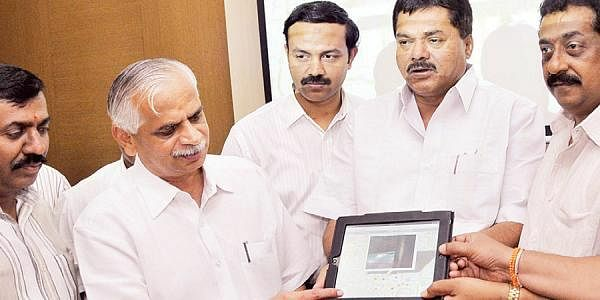 In the aftermath of their failure in using Facebook for monitoring garbage disposal in the city, the Bruhat Bangalore Mahanagara Palike (BBMP) has now jumped on to the next level of technology by introducing Off-Site Real Time Monitoring (OSRT) system. As a pilot project, they are using a combination of Global Positioning System (GPS) and General Packet Radio Service (GPRS) technologies through cell phones to monitor the garbage situation in four wards of Bangalore. Following the success of Bangalore Traffic Department in cracking down traffic violations, the BBMP has decided to make extensive use of technology in garbage disposal system in the coming days. The Commissioner of BBMP, Rajneesh Goel affirms, “In the coming days, technology solutions will be introduced for real time management of garbage collection and its movement. ” Once the said technology is installed, it will be followed by training of BBMP staff in handling and usage of the technology. The project which is estimated to cost `70,000 per month will initially be available at Pattabhi Nagar, Sarakki, Byrasandra and Shakambari Nagar. Rajneesh Goel says, “The GPRS and GPS will eventually be connected to the control room where the citizens too can access it. We are looking forward to this initiative to turn around the whole scenario and hopefully it will be a successful attempt. ”The GPRS technology allows cell phones to capture real time images of sanitary situation of secondary dumping stations or transfer points or public sites under inspection, with the date and time of the picture superimposed on a Google map. These images will be instantly transmitted to a central server and made immediately available in the public domain or BBMP website. The system will also ensure that contractors are picking up the garbage from the collection points. Moreover, if the dumping stations are not cleared, the Assistant Engineers, Assistant Executive Engineers and junior health inspectors will get alerts on their mobile phones. Despite being the IT capital of India, the BBMP has been slow in incorporating technologies in garbage disposal. RFID (Radio Frequency Identification), integrated software packages, rear vision cameras and video recording are a few technologies that are extensively used by developed countries. RFID tags on waste collection trucks are basically aimed at monitoring the waste pickup. With manual operations, numbers can be misread, mis-reported, mistyped and this technology can help curb the menace of garbage mafia in Bangalore as it can monitor the performance of contractors and the firms responsible for garbage collection and disposal. It will also enable BBMP to track records from the point of collection to the final destination. Further, it will prevent illegal waste disposal by creating accountability with a tracing system for hospitals, all sources of toxic and dangerous waste materials. Even Delhi Municipal Corporation has facilitated their health officers with Andriod smart phones to keep a watch over the cleaning of garbage bins and upload pictures of bins highlighting their condition, on their website which the officials and corporators can access.